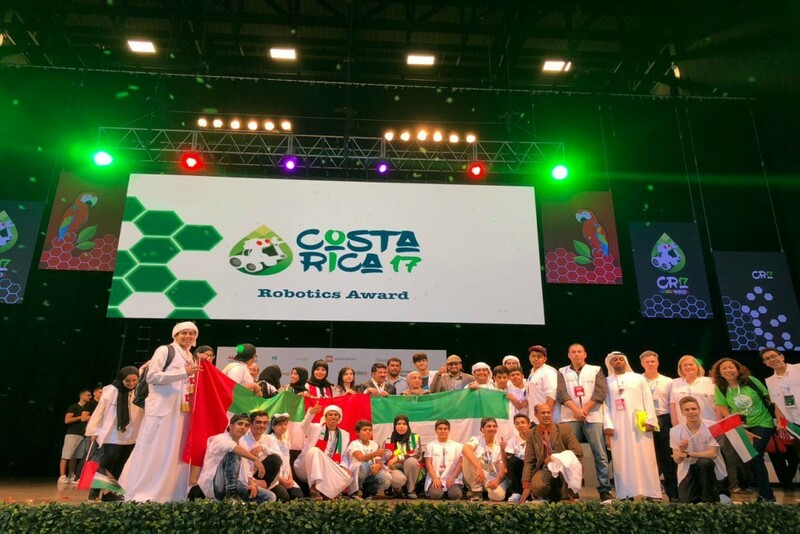 United Arab Emirates students competed the World Robot Olympiad, which was recently held in Costa Rica, where they showcased their programming skills. About 390 international teams competed. The UAE was represented by 32 students in 11 teams. One of the teams, Sharjah, took eighth place in the open category. The students were congratulated by Dr. Najla Naqbi of the Department of Education and Knowledge, which seeks to facilitate UAE’s technological development by using all its material and human resources to help children and youth to gain experience in robotics and software development, enhance their creativity and innovation, communicate with their peers, and prepare themselves to be future leaders. The Department of Education and Knowledge encourages students to participate in national, regional and international competitions. It organizes the World Robot Olympiad competitions in the UAE and supervises the UAE teams in international competitions. Want to get notified whenever we write about Abu Dhabi Education Council ? Next time we write about Abu Dhabi Education Council, we'll email you a link to the story. You may edit your settings or unsubscribe at any time.